By visiting the blog, you'll find exclusive, educational, and engaging content about all things in the Nelson Treehouse world. Want more photos of builds you watched on Animal Planet's Treehouse Masters (and photos of treehouses you didn't see on TV)? Want updates on cool new apparel, hardware, and treehouse plans from Be in a Tree? Want design tips and wedding snapshots from Treehouse Point? Want to stay in the loop as Treehouse Resort and Spa develops? This blog informs, inspires, and connects you with all things treehouse. Subscribe to our mailing list to stay updated on new treehouse content. The blog enables you to connect with all the Nelson Treehouse enterprises in one easy location. 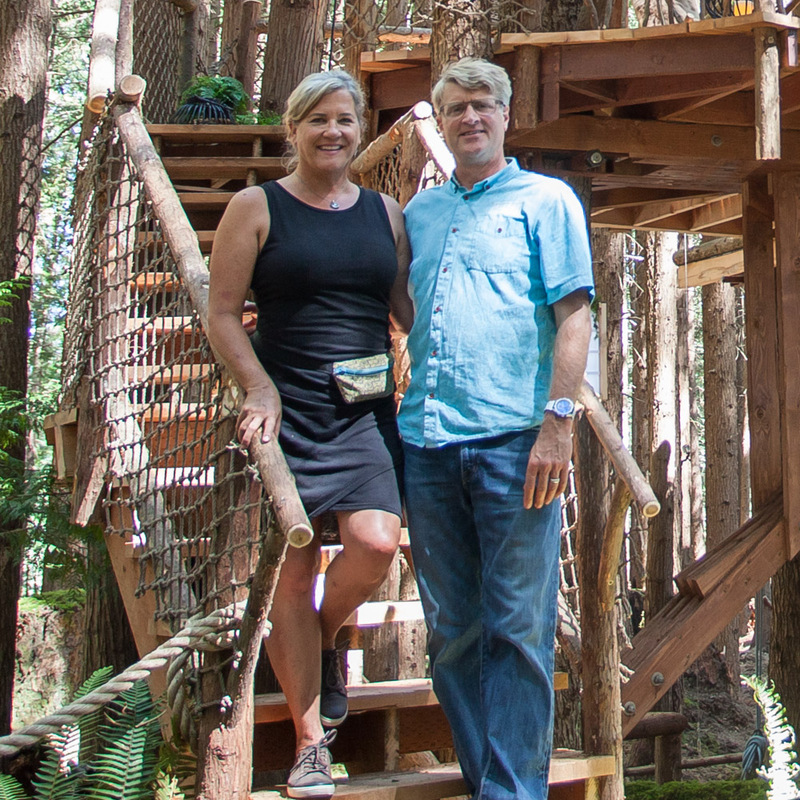 One day, Pete and his family realized that many folks were familiar with only a slice of the Nelson Treehouse world; some were fans of Treehouse Masters, but didn't know they could stay in the trees at Treehouse Point. Others wanted to build treehouses with the help of Nelson Treehouse and Supply, but didn't know they could buy plans and hardware from Be in a Tree. Pete longed for a way to connect his family's various enterprises in one awesome, educational, and engaging blog... and so the Nelson Treehouse Blog was born! Reason 3: It's inspired by you! You, dear reader, are the inspiration for the blog. Your support and love of all things treehouse continue to inspire us to dream bigger, build better, and create exciting new content. From everyone in the Nelson Treehouse family: we are so grateful for you! And we can't wait to connect over the blog. To the Trees! Chuck ushers you to the trees!